You'll surely recognize the Legacy, even after the total overhaul. 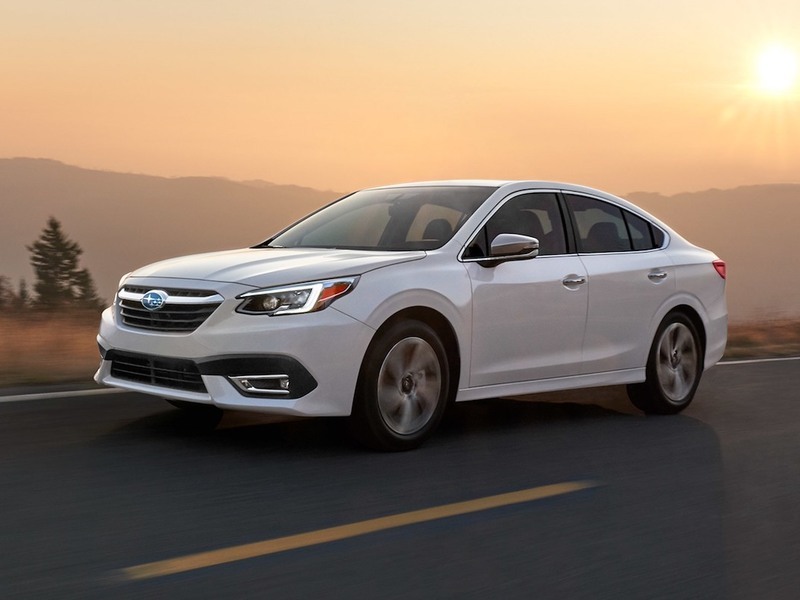 The Subaru Legacy sedan lives on, and though no one may have noticed the last redesign, they might actually notice the one for 2020. Maybe. It just broke cover at this year's Chicago Auto Show at downtown's McCormick Place. Rather than a drastic change, it seems to have been massaged in this total redesign. Less angular and more smoothed out, it evolves in a handsome way. Most of the changes are under the skin. Let's take a closer look. The body crease has been softened, and the crease above the rocker panel angles up. The sedan now uses the Subaru Global Platform that underpins the Impreza but gets stretched for the bigger sedan. It promises more structural rigidity and lightens the car thanks to ultra-high tensile steel. It should also be safer than the previous model. From a style standpoint, we find it attractive but not particularly distinct. Competitors like the Mazda6 and the new Toyota Camry are more dramatic. Subaru went a bit soft on the changes, unfortunately. It's not a bad look, just not very head-turning. Under the hood are two choices, bit the flat-six engine is gone. There's a 2.4-liter turbocharged boxer-four with 260 horsepower and 277 lb-ft of torque or the base 2.5-liter four-cylinder boxer with 182 hp and 176 lb-ft of torque. The former should hit 60 mph in a quick 6.1 seconds, while the latter will only do it in 8.4. Unfortunately, there's only a CVT transmission. The most dramatic change is the interior, which keeps some of the same identifiable elements like the central vertical HVAC vents and the steering wheel style/controls, but the materials quality appears to have been upgraded especially in the top trim. The huge 11.6-inch vertical touchscreen is the most noticeable tech feature, and it can be split into two screens for simultaneous view of audio and navigation. The good news is that the big screen won't just be on the top trim but across every trim except the base model. There will still be physical knobs for audio that flank the screen, keeping things easy. Climate controls are no longer physical, though. They're controllable at the base of the big touchscreen for most trims. Apple CarPlay and Android Auto are standard on every model. In top trim, the Legacy sedan gets rich Nappa leather seats with perforations on the bolsters. The leather trim also shows up on the door panels, door armrests, dash, and the center armrest compartment. It's expansive use of the material and makes for a truly upscale look inside. The new Legacy also upgrades its suspension that includes MacPherson struts in the front and double-wishbone in back. The result is a more compliant ride, better handling and responsiveness, and an overall better driving experience. The last Legacy we drove in 2016 was pretty good, so we expect big things from the redesigned version. EyeSight does actually look like a pair of eyes for the road. It's now standard. One of the most noteworthy features is Subaru's EyeSight technology that's now standard on all trim levels and includes great features such as adaptive cruise control and lane-centering. In higher trims, the Legacy will get the driver-monitoring system that checks fatigue or distracted driving and provides warnings to the driver. The new Legacy goes on sale this fall, and we'll give you our full impression in our review after driving the new car.